Multiplatform data assimilation has been implemented in the WMOP operational ocean circulation prediction system. 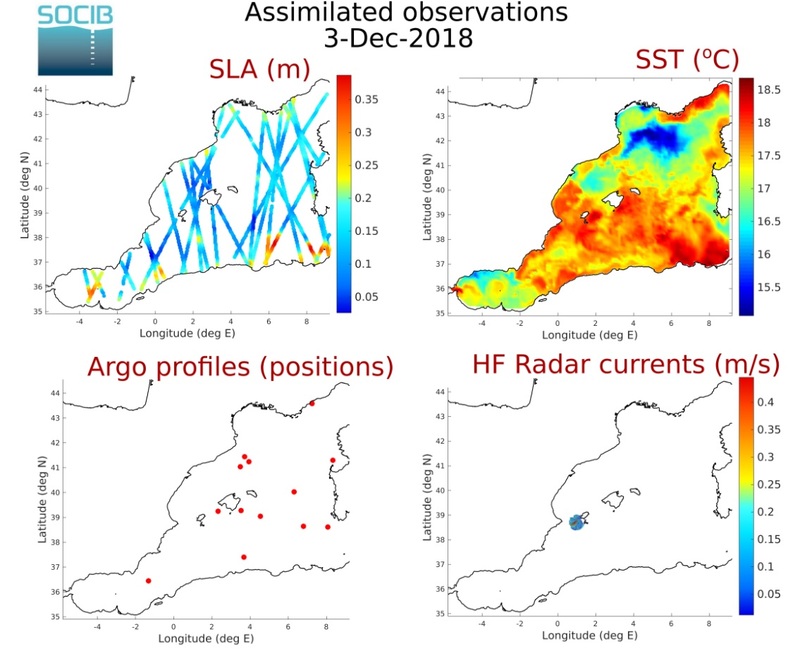 Model fields are updated every 3 days, constrained by the latest satellite sea surface temperature and along-track sea level anomalies, Argo temperature and salinity profiles as well as Ibiza Channel HF radar surface currents observations. Observations are assimilated through the local multi-model Ensemble Optimal Interpolation scheme described in Hernandez-Lasheras and Mourre B (2018). This major system upgrade represents a very important advance in our path to deliver reliable high-resolution operational regional predictions of ocean currents, temperature, salinity and sea level.